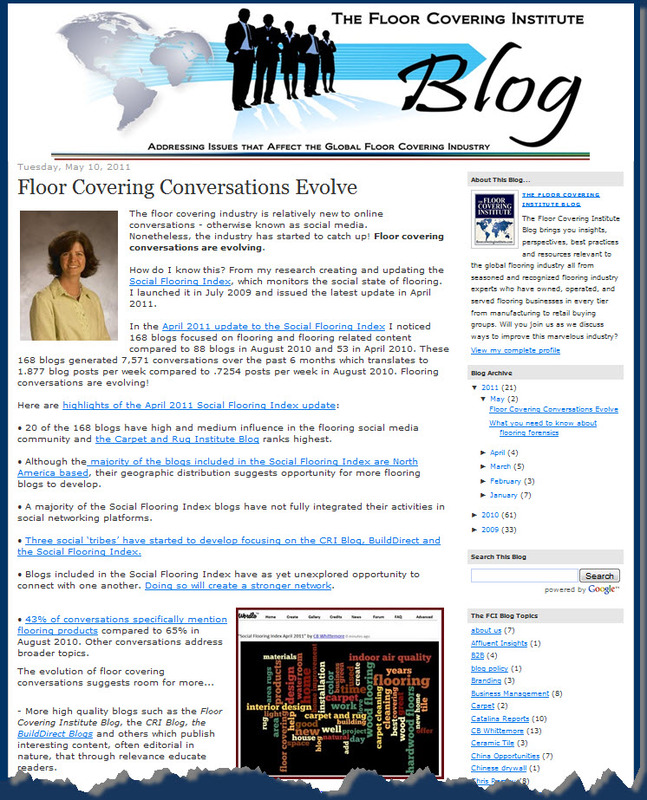 In my latest post on the Floor Covering Institute Blog, I explore the evolution of online conversations in the floor covering industry based on the research and analysis I've done for the Social Flooring Index. 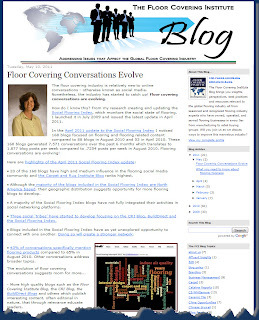 The post is titled "Floor Covering Conversations Evolve". "Online conversations enable collective learning and creative problem solving. They generate feedback on ideas that may not be fully developed or have room for as-yet-unidentified changes in approach. They also allow you to develop an understanding for the thought-process of the person writing, begin to establish a relationship and start trusting what that person expresses. Not too different, if you think about it, from what an pen pal exchange or ongoing business correspondence used to make possible...."
﻿﻿I'd love to hear your reactions and observations. How do you see industries such as flooring evolving in their conversations? What topics should they be discussing that they aren't?